Finding the right financing plan for your unique situation can sometimes be a stressful experience. That's why the financing experts at McDonald Nissan work with you in order to make sure that you understand your financing options and can make your payments. 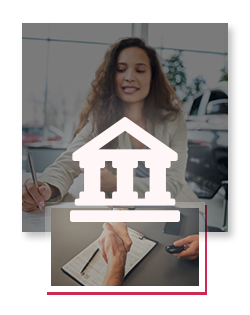 At McDonald Nissan, our financing experts have years of experience working with car buyers to make sure that they find a financing plan that is affordable. The financing experts at McDonald Nissan will take the time to get to know you and answer any questions you may have and make sure you have the right financing plan for your situation. We're always working to make our customers happy. That's why we work to offer flexible and affordable financing options to our customers when they are looking to purchase one of our new or pre-owned vehicles. Our special offers are also designed to help you save on financing. Offering low financing rates and helping you save money, the special offers on financing can help make your next vehicle more affordable. Come into McDonald Nissan today and see how we can help find you the perfect financing plan.